Poppy seed is an oil seed derived from the opium poppy plant Papaver somniferum. Unlike the other products of the poppy plant, poppy seeds do not have any narcotic properties. Poppy seeds have a nutty flavor and are a popular condiment added to desserts and savory dishes. They help to quench thirst, calm irritation in the stomach, and reduce acidity. Poppy seeds are rich in monounsaturated fatty acids which help in the treatment of carcinoma. They are used in many beauty products, especially in scrubs due to their coarse texture. They are rich in omega 3 fatty acids and hence good for heart health and diabetes. 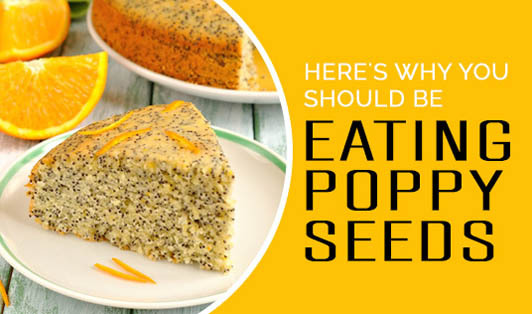 Poppy seeds are rich in dietary fiber making it suitable for digestion and weight loss. Poppy seeds are rich in iron, copper, calcium, potassium, and magnesium. Copper is required for the production of red blood cells which helps in keeping the hemoglobin content in good condition. In South India, a poppy seed dessert called kheer (payasam) is prepared by adding plain milk, coconut milk, cardamom, raisins, and sugar. This dessert is not just tasty it helps in treating mouth ulcers. Over all poppy seeds are very beneficial for health. They can be easily incorporated in a number of dishes. Use them to reap their maximum benefits.